Chevy SSR Forum > SSR for Sale Sections > SSR Parts for Sale/Wanted > Domed "CHEVROLET" hood inserts " FREE SHIPPING"
2005 Sinister 6-speed, 2004 UV with Flames - Gone but not forgotten! I have a customer that would like a set - please e-mail Dave with info [email protected]. Thanks! I would like to get some for my door sills. Where can I find and buy them? I make all the different Domed items for the SSRs, Domed Hood inserts ,Door Sill inserts , Wheel & steering wheel Bowtie overlays , stickers to cover the ugly yellow stickers on Sunvisor. I would like to have a set in yellow. (send info to [email protected]). Did not receive email yet. Just making sure email was sent back correctly? I would like a set in red if you still have these available. I till have all the colors . You have a PM . All colors in stock and ready to ship !!!!!!!!! I'd like a black set plus information on the other items you have. I would like a black set, PM me with info. Sorry I don't make anything for them !! I can supply you some vinyl that you can use to wrap it !! All colors in stock ready to mail !! 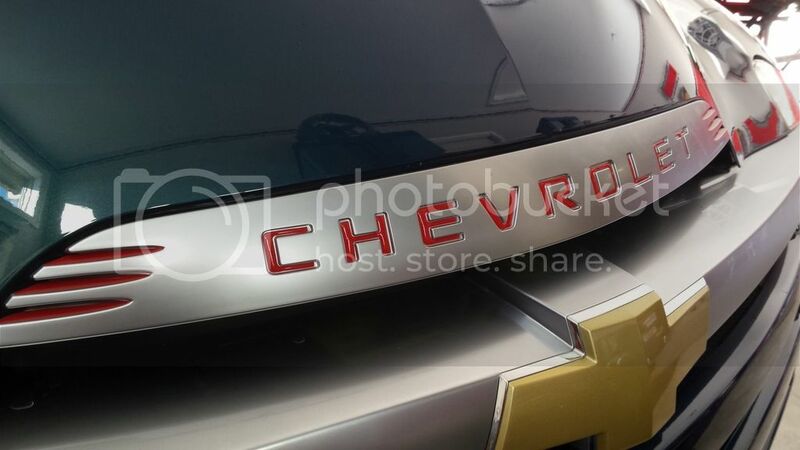 I would like to order the CHEVROLET domed letters in black. Please send a private message with ordering info. Location: Ottawa Ont. & St.Petes Fl. Yes I have all the colors in stock PM sent . ..........Ole Blur.......... 2005 Aqua Blur 117213 Permanent Permagrin! Love the original Red letter look! Got the RED letters installed, and I really like the look on my Aqua Blur! !....gives it a bit of the same feel as the Advanced Series with the red lettering. All my items on E-bay will be back on the end of this week , I have been on vacation so didn't have them up . Here is a link to E-bay where you can see all the items I sell for the SSR's. You can purchase there our direct from me here on the forum . Do you still have a set of red letters for the front end? This link will take you to all the items I have for sale . If you click on that link and scroll down it will show all 13 items I have listed !! Maybe it's me, but I still can't get there from here. Have an idea of what to do a search on?